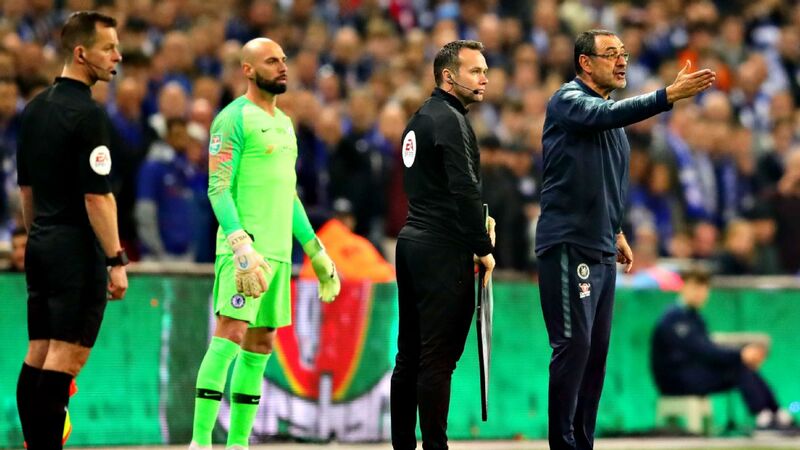 LONDON -- Chelsea suffered an agonising defeat on penalties to Manchester City after a tight and tense Carabao Cup final at Wembley, with Raheem Sterling netting the winning spot kick after Jorginho and David Luiz both missed from 12 yards. 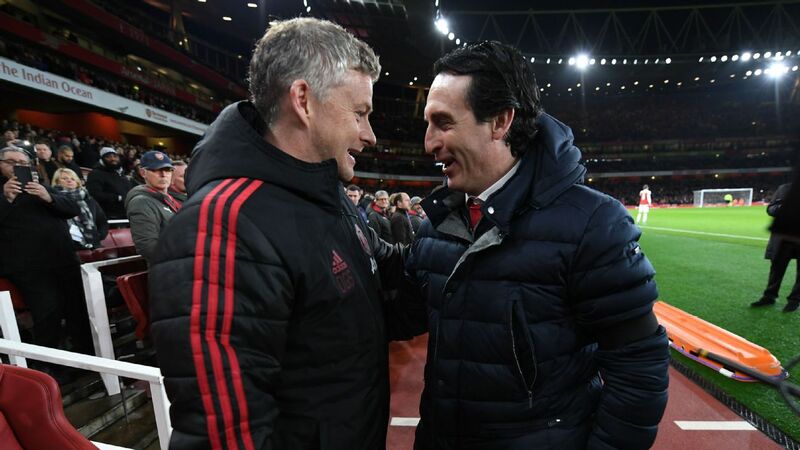 This was a performance many thought beyond Maurizio Sarri's side. 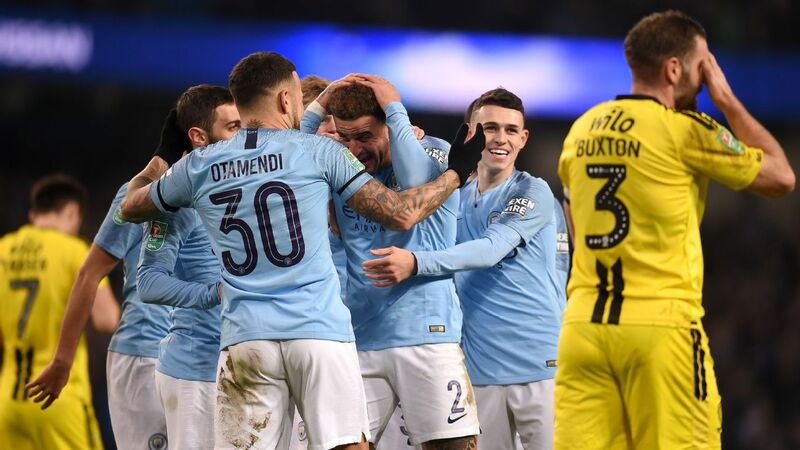 They stifled City in the first half and grew into the game as an attacking threat in the second, creating several anxious moments in Pep Guardiola's defence even if Ederson didn't have much to do. There's no doubt they are resilient when they want to be. 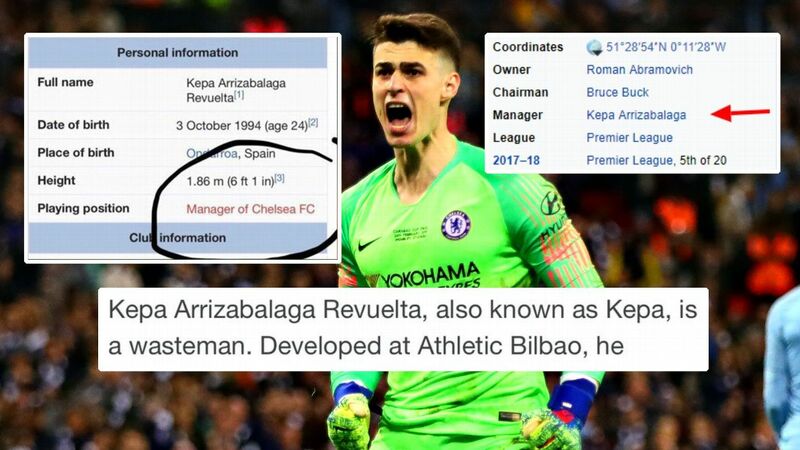 On a day of so many positives for Chelsea, it is a shame that Kepa's refusal to be substituted will dominate the headlines. 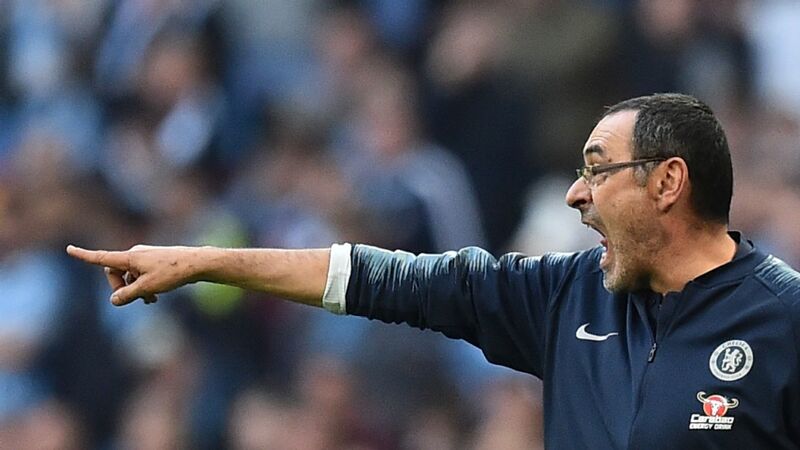 He undermined Sarri as publicly as any player can, and it's unclear where this leaves the Italian's authority over a squad which already appear to have their doubts about him. 8 -- Sarri made bold tactical choices and showed that even if he doesn't have a 'Plan B,' he is not totally inflexible. Hazard as a false nine made Chelsea more defensively solid, as did Emerson's presence at left-back in place of Alonso. 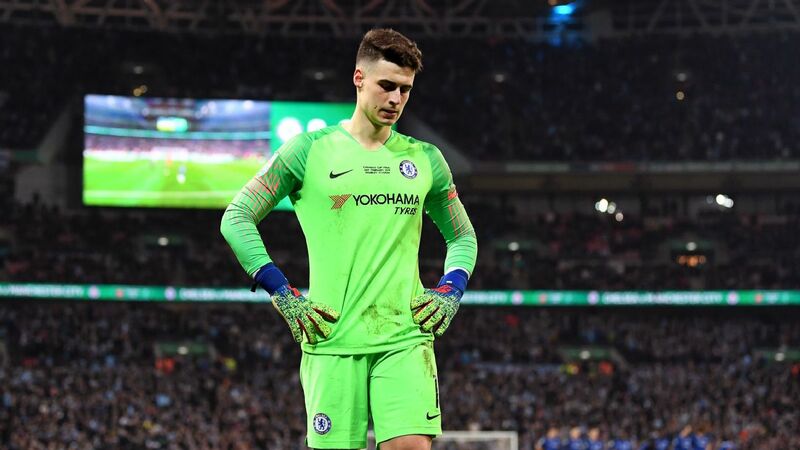 Kepa's open insubordination left him seething and humiliated though and even if this performance eases the immediate threat to his job, his authority has been publicly eroded by Chelsea's record signing. 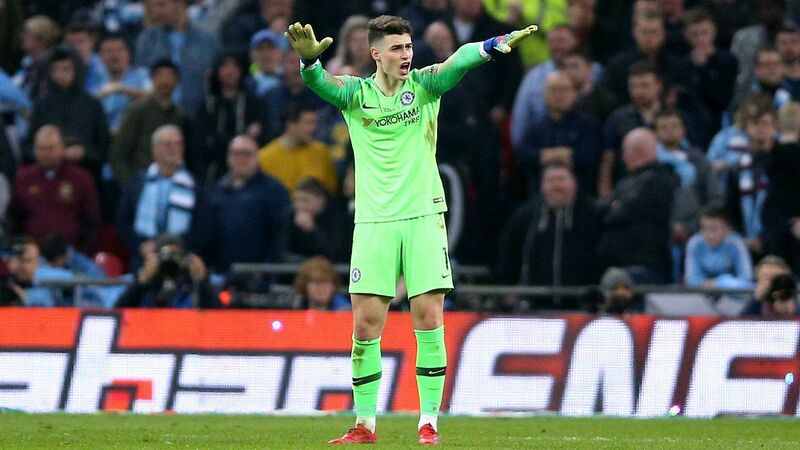 GK Kepa Arrizabalaga, 6 -- Made one vital interception during a goalmouth scramble in extra time and saved a late Aguero shot, but his refusal to be substituted undermined Sarri and overshadowed Chelsea's good work -- even if he delivered in the shootout by saving from Sane. DF Cesar Azpilicueta, 8 -- At times looked troubled by the speed of Sterling and later Sane, but held his own defensively and also managed to get his head on a number of dangerous City deliveries from open play and set pieces. 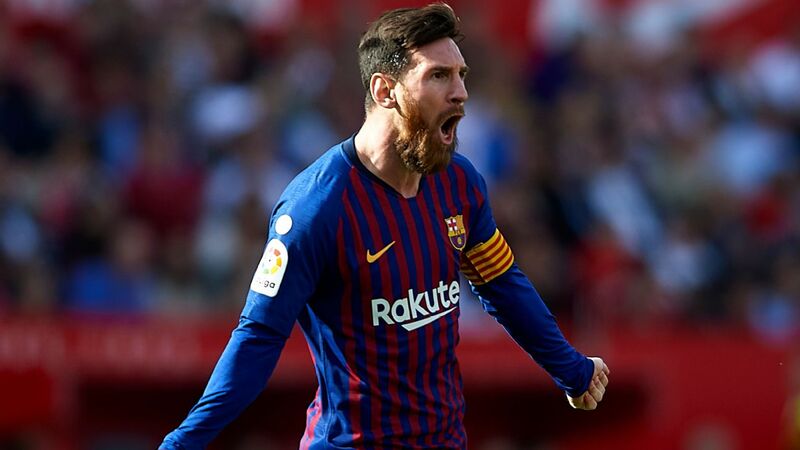 Took a brilliant penalty, even if it ultimately counted for nothing. DF Antonio Rudiger, 9 -- A dominating performance that showcased everything that has helped establish him as a Chelsea fan favourite. He matched Aguero in the air and on the floor, passed well under pressure and defended with total commitment in key moments. Kepa's antics in the Chelsea goal overshadowed their performance. DF David Luiz, 8 -- Has had his fair share of battles with Aguero in the past and stood up to the Argentine admirably. 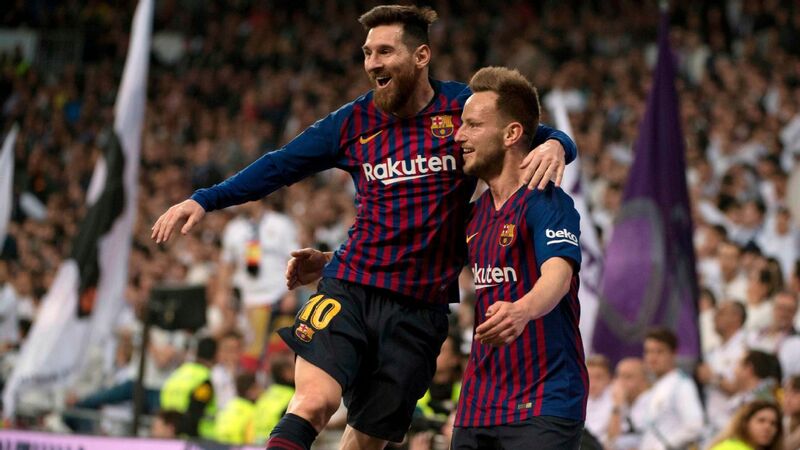 His more ambitious passes were also key to getting his team on the front foot, particularly as they grew into the game in the second half and extra time. Is usually so reliable from the penalty spot. DF Emerson Palmieri, 7 -- The one man capable of turning defence into attack for Chelsea. Surged forward with the ball as often as he could, over-hitting one pass to Hazard and playing the Belgian through on another occasion. 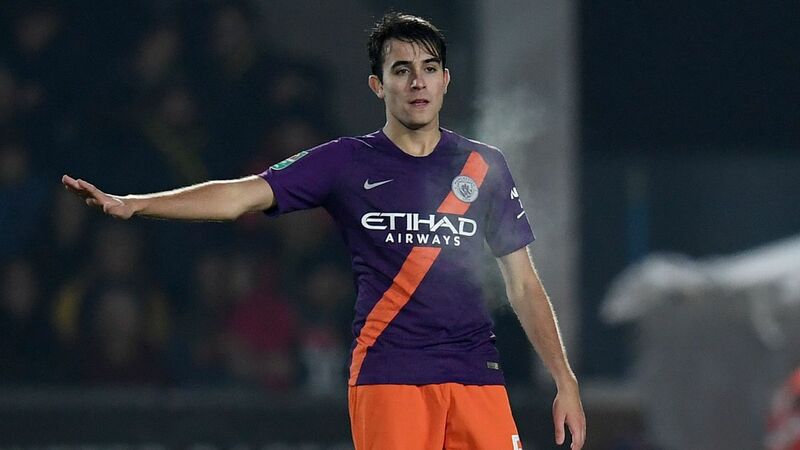 City caused him defensive problems when De Bruyne drifted over to link up with Bernardo Silva. 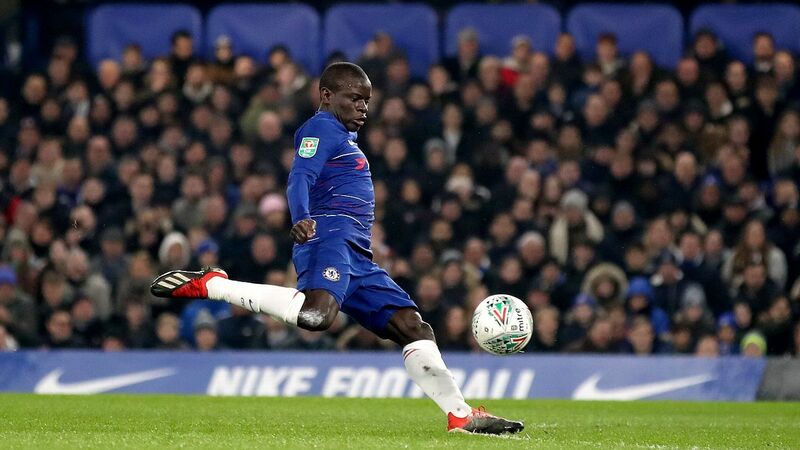 MF N'Golo Kante, 9 -- His limitless energy is to be expected these days, and he used it to make his presence felt at both ends of the pitch throughout the match. Repeatedly disrupted City's momentum by winning the ball back in the middle third of the pitch and even burst forward to shoot just over from Hazard's cross. MF Jorginho, 7 -- Helped maintain Chelsea's positional discipline as they endured long spells of City pressure and made one vital tactical foul to prevent Sterling from running through on goal. Picked a bad, bad moment to miss his first penalty for Chelsea. 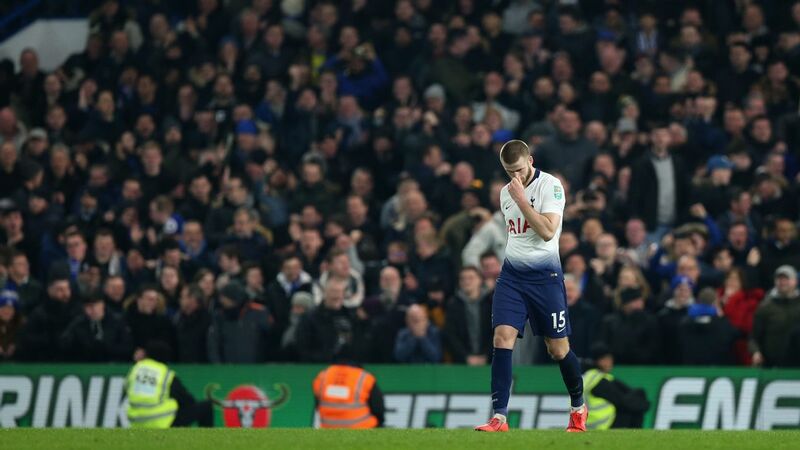 MF Ross Barkley, 7 -- Playing in his first career final, he showed few nerves and made more good decisions than bad ones on the ball -- aside from one loose pass in the second half that sent City sprinting on a counter. Tired in the closing stages of the regular 90 and was brought off for Loftus-Cheek. FW Pedro, 8 -- Could not offer his usual goal threat from the right flank but worked tirelessly without the ball to help limit City's attacks in wide areas. Should have shot rather than passed when Hazard slipped the ball to him in Chelsea's best move of the second half. 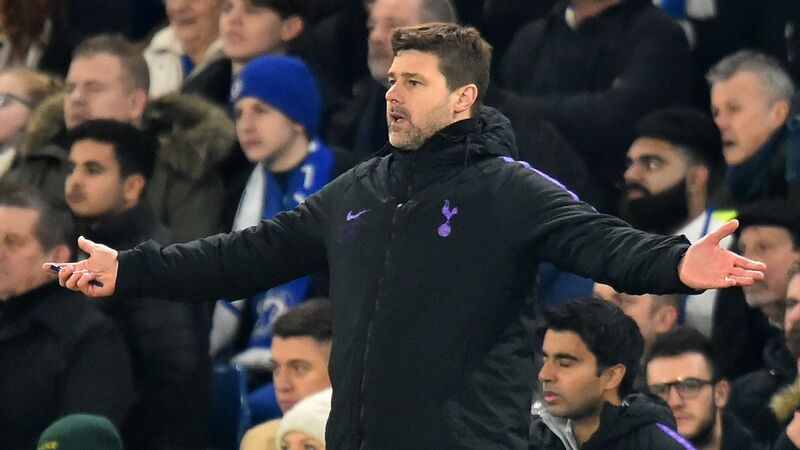 Replaced by Hudson-Odoi. FW Eden Hazard, 8 -- It's no secret he doesn't relish playing as a false nine and for the majority of the first half he was startlingly isolated. He did look dangerous every time the ball found him though, driving at the City defence and creating good chances for Kante and Pedro. His Panenka penalty was outrageous. FW Willian, 8 -- Impressively matched Pedro's defensive effort on the opposite wing and provided more going forward, releasing Hazard with a nice pass in the build-up to Kante's chance and forced Ederson to tip over a dangerous free kick from a tight angle. His corners were erratic again, but this was a superb display. FW Callum Hudson-Odoi, 7 -- Trusted on the biggest stage of his career, he looked lively with the ball at his feet and embarked on several neat dribbles. Could not find a way to threaten City's goal or create a clear opening for his teammates, but he needs more chances like this. MF Ruben Loftus-Cheek, 7 -- Finally given an opportunity in central midfield off the bench, he defended his position well and helped Chelsea's play in transition, with one sublime touch before playing in Hazard, who was controversially flagged offside. DF Gonzalo Higuain, 6 -- Linked play reasonably well when he came on, though Ederson never had to make a save from him. It was a little surprising that he did not end up taking a penalty.